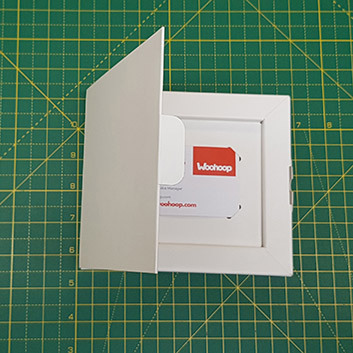 The gift card presentation packaging with hinged will fit gift & membership card or other small sized items. With a friction locking tab to keep the lid neatly closed. Printing allows full coverage of the outside of the box as well as the inside walls and both sides of the lid for a great branded look inside and out. 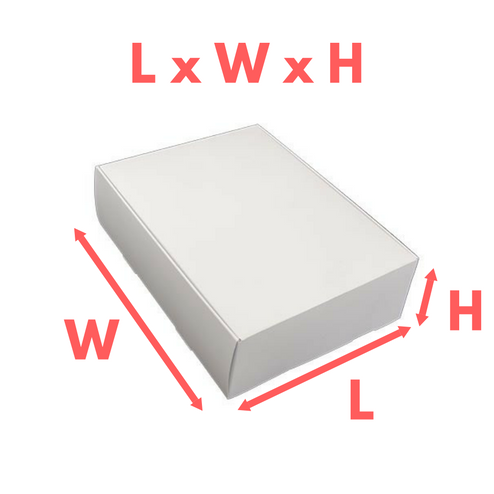 The slim profile height of 20mm provides a compact presentation box. A strong base with a buffer wall frame around the contents. The hinged lid is double thickness to give a solid book closure with print on both the outside and inside. 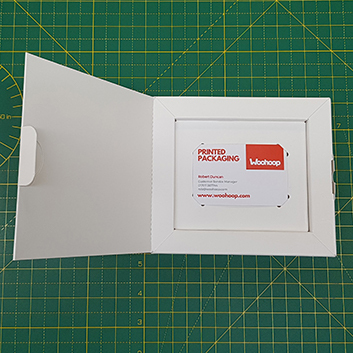 These premium hinged lid presentation boxes are great for small items and perfect for cards 85 x 55mm in size. USB Stick - Present your important USB in a neat branded box. Gift Cards - Brand he gift experience with a custom printed presentation box. Membership Cards - A printed box to Welcome new members & hold there membershp card. 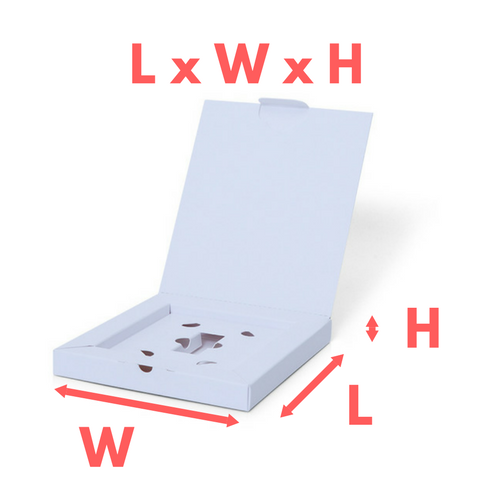 Loyalty Cards - Drive customer loyalty with a memorable box. 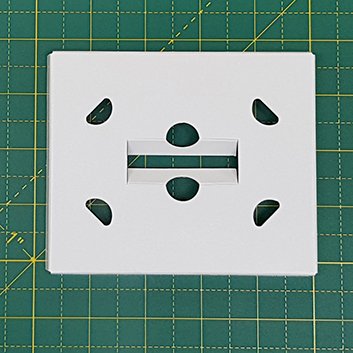 Printed in a Full Colour CMYK print to one side - allowing for print on the outside of the box and the inner lid panel as well as the buffer wall frame of the presentation box with full coverage. Die-cut, Creased, glued & Supplied flat ready for assembly.